Get ready because Maroon 5 might just pay tribute to a beloved character from Bikini Bottom! Unless you’ve been living under a rock, you’ll know that the one and only Maroon 5 will be headlining the Super Bowl half-time show. Prior to their performance, the band released a teaser video via Twitter on the 13th of January and it features an iconic character from Bikini Bottom! At around 32 seconds, a static-covered video of SpongeBob appears across the screen before dissolving against footage of the band. 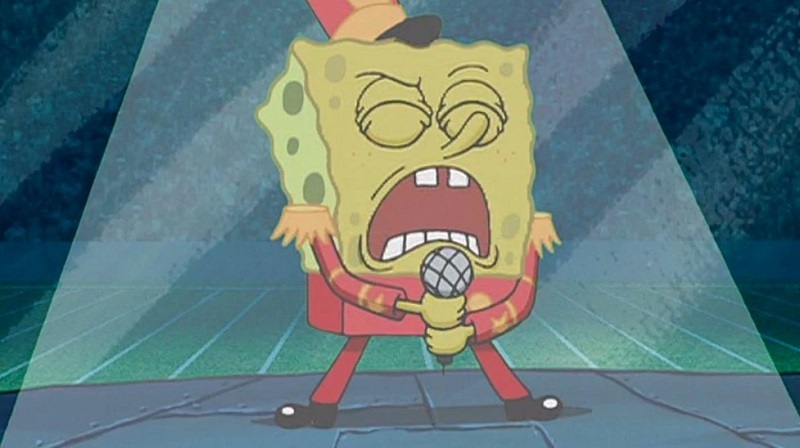 Fans then speculated that it could be a hint that Maroon 5 will be performing the epic “Sweet Victory” from the 2001 SpongeBob episode “Band Geeks”. Fans could not contain their excitement and we honestly can’t blame them. Here’s a snippet of “Sweet Victory”. Following the death of Stephen Hillenburg (the creator behind SpongeBob), a petition titled “Have ‘Sweet Victory’ performed at the Super Bowl” has garnered over 1 million signatures to date. Just like everyone else, we’re pumped with excitement to witness this iconic moment come to life (if the speculations are right). Stay tuned for the Super Bowl and if you missed it, fret not, because SevenPie will always have your back.